I was watching the recent TedX appearance by my favorite "new" band, The Warning, and the comments of the members had me thinking about independent artists. That is, creative people who do not take their talents to big businesses but rather decide to disperse their craft themselves. The Warning is a band I discussed here. They are, in brief 3 sisters from Mexico ranging in age from 12-17 who have produced their own album without a record label. They got a lot of attention from videos of their playing cover songs on YouTube, and they've used this attention to fund their own album of original material. They discussed at TedX that they had offers from people to help them, but they decided to go their own way. Why? For art's sake! For the opportunity to do what they really want to do musically and not have to conform to someone else's standards. And I could see how some hotshot producer would want to come in and "help" them succeed. In my imagination someone would totally want to pull a "Johnny Bravo", as in the old episode of the Brady Bunch, putting the emphasis on style over substance and one member over the group. So bravo to these girls whose wisdom is well beyond their years for staying true to their hearts and their art! And if you don't believe they have wisdom beyond their years, check out the music. Amazing compositions and lyrics! I'm eagerly anticipating the release of the album. Which is, amazingly, going to be available of CD and Vinyl! Vinyl!! Again...wisdom beyond their years! Switching to the realm of film, I am, of course, a huge fan the Canadian drama Out With Dad. This series, about a young girl discovering her sexuality while interacting with her widowed father and friends, touches on some important issues and never fails to make me think. 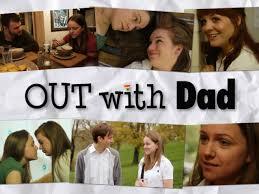 Out With Dad is filming its fifth season as an independent production. Though there's more money available in network television, I think OWD benefits from being controlled totally by its creator, Jason Leaver. This show is his vision and I wouldn't want to see it trampled on by corporate hacks wanting to maximize profit. Finally, comics is the reason I started this blog, so I must discuss my favorite independent comic. Though I cut my teeth on mainstream superhero titles, I have a special appreciation and love for independent comics, because these are artists doing totally what they want to do, with no restrictions from a large company. Most independent comics I read are small-press creators who are not well-known (or well-paid) artists. But even when a big name creator does an independent comic, I think there's something special about it. Kurt Busiek's Astro City and John Byrne's Next Men immediately come to mind. 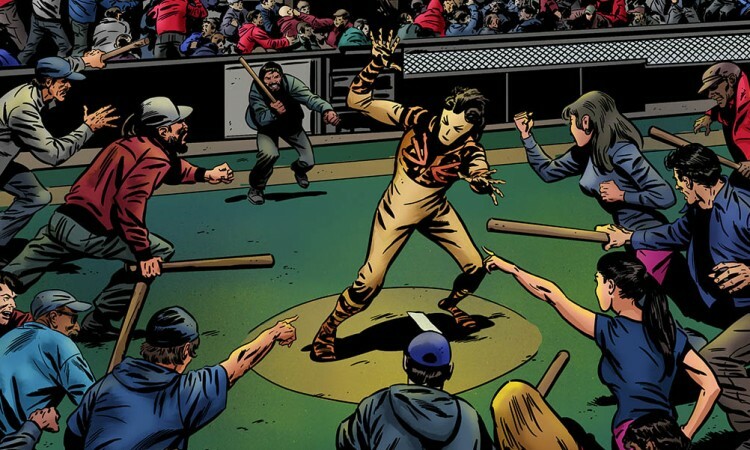 My favorite current independent comic is, without a doubt, Apama- the Undiscovered Animal. 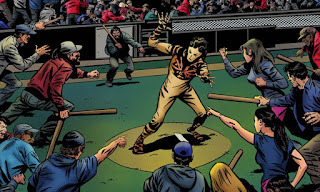 Apama, created by Ted Sikora abd Milo Miller, is about a hero with the powers of a forgotten beast. The most ferocious animal of them all, the Apama! The action takes place in Cleveland, which is also a plus! Apama has all the characteristics of the comics that made me fall in love with comics so many years ago, but it's not just a nostalgic feel. The tale is exciting and the art is absolutely fantastic! In conclusion, I can only reiterate how special it is to see an artist, in any medium, create something out of love for the art. And if such a thing is also something that is enjoyed by many others, that's just the icing on the cake! If you are a fan of any of the above, I hope you check at least on of the other out. Because independent work should be celebrated in any art form!